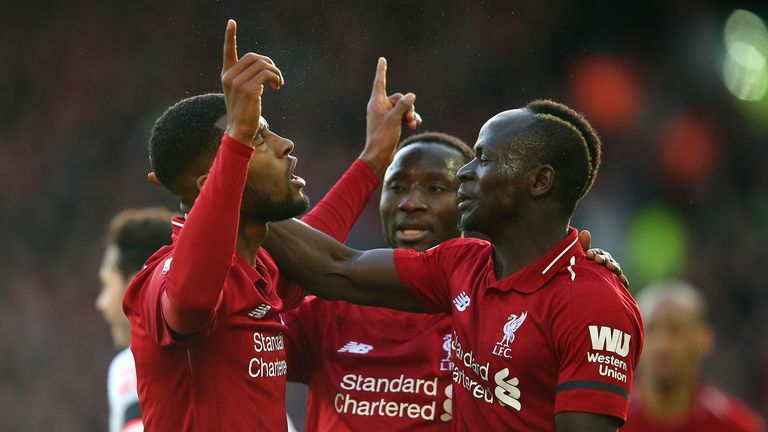 Liverpool returned to the top of the Premier League with a comfortable 3-0 win over Bournemouth, while Manchester United moved into fourth place with victory at Fulham. Liverpool put aside their recent anxieties as they lifted themselves three points above champions Manchester City with goals from Sadio Mane, Georginio Wijnaldum and Mohamed Salah. Mane rewarded Jurgen Klopp's men for their early dominance by heading home his fourth goal in four matches after 24 minutes and Wijnaldum added a second with a neat lob 10 minutes later. Salah made victory certain early in the second half and the Egyptian also hit the bar in a confident display. Both Liverpool and City have now played 26 games but the champions will have a chance to return to the summit when they host Chelsea on Sunday. Paul Pogba scored twice as Manchester United moved into the top four - for a day at least - with an impressive 3-0 win at Fulham. Anthony Martial was also on target as United registered their 10th win in 11 matches in all competitions under interim manager Ole Gunnar Solskjaer. 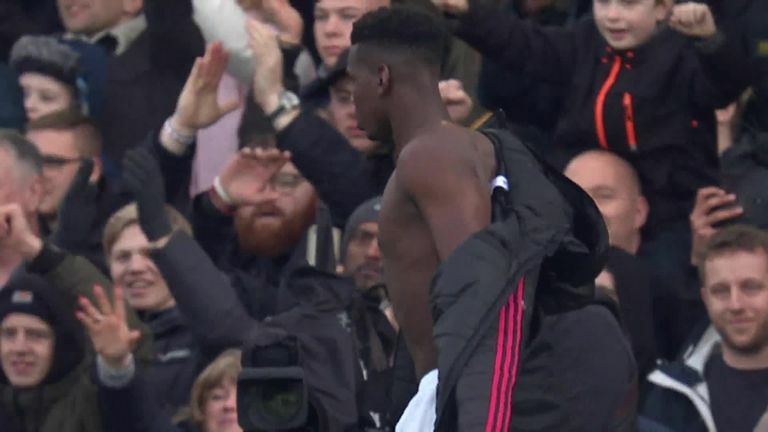 Manchester United's Paul Pogba made one young supporter's day by giving him his shirt following the 3-0 win at Fulham. Martial set up Pogba's opener after 14 minutes and doubled the lead before the interval. Pogba's second came from the penalty spot after Juan Mata was fouled. Fulham remain 19th in the table and well adrift of safety after their 17th loss of the campaign. Cardiff climbed out of the bottom three as they snatched a dramatic 2-1 win over Southampton in a remarkable finish at St Mary's Stadium. Kenneth Zohore struck for the Bluebirds, who were playing their first match since confirmation of the death of record signing Emiliano Sala, in the third minute of stoppage time. 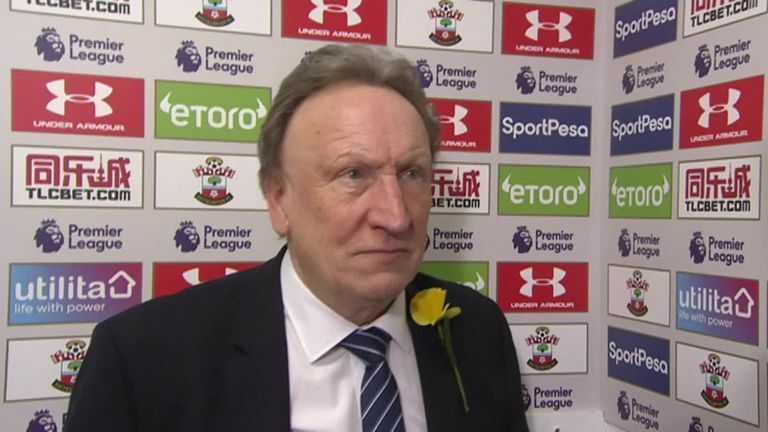 Neil Warnock felt Cardiff showed 'tremendous character' after Kenneth Zohore scored a 93rd-minute winner to give them a 2-1 win over Southampton. Jack Stephens thought he had saved a point for Saints when he turned home from a corner just moments earlier. Sol Bamba had opened the scoring after 69 minutes. Burnley continued their positive run of form as they stretched their Premier League unbeaten run to seven matches with a 3-1 win at Brighton. Chris Wood scored twice before Ashley Barnes netted from the penalty spot after Brighton had been denied a spot-kick of their own for handball against Jeff Hendrick. Shane Duffy replied with a consolation goal for Brighton, who are now level on 27 points with Burnley. Bottom side Huddersfield slumped to their 19th defeat as Arsenal won 2-1 at the John Smith's Stadium. Alex Iwobi opened the scoring after 16 minutes when his volleyed effort slipped through the grasp of Ben Hamer. The effort did appear to take a deflection off Terence Kongolo but it was nevertheless a poor one for the 'keeper to concede. 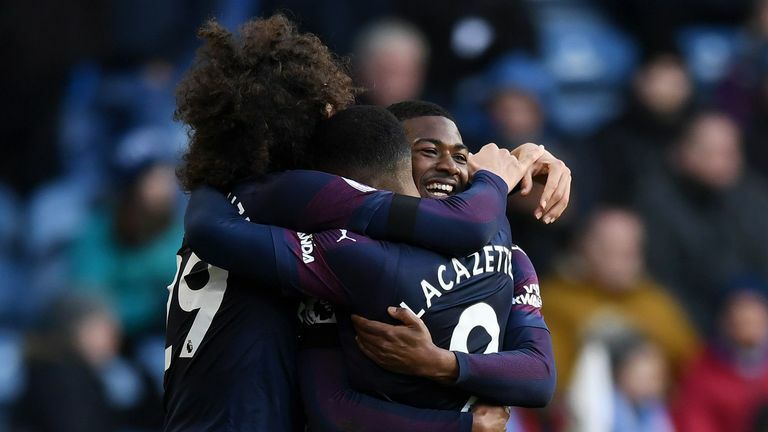 Alexandre Lacazette struck the Gunners' second on the stroke of half-time after good work from Ainsley Maitland-Niles. Huddersfield's consolation came in the form of a late own goal from Sead Kolasinac. Watford piled the pressure on their former manager Marco Silva as the Hornets beat Everton 1-0 at Vicarage Road. Andre Gray scored the winner after 65 minutes, sweeping home a Will Hughes pass after a neat back-heel from Craig Cathcart. 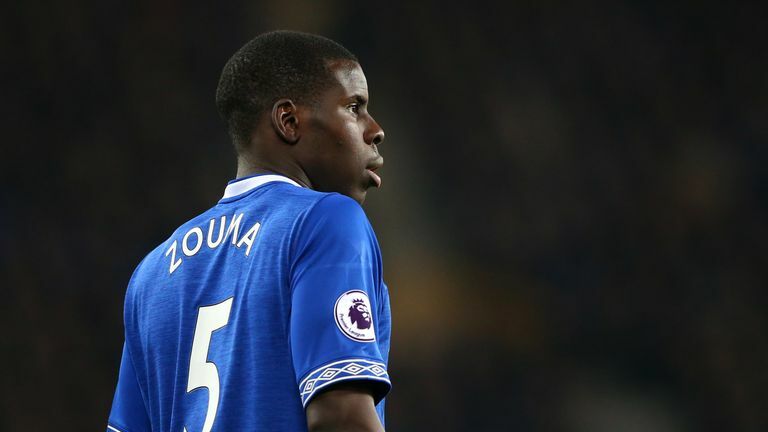 Everton defender Kurt Zouma was shown two yellow cards followed by a red after the final whistle by referee Lee Probert during the 1-0 defeat by Watford. Everton did hit the woodwork through Gylfi Sigurdsson and Lucas Digne but their recent slump continued. It was the Toffees' 10th defeat in 16 games in all competitions. Wilfried Zaha rescued a point for Crystal Palace as Roy Hodgson's side hit back for a 1-1 draw against West Ham at Selhurst Park. Zaha netted from a tight angle 14 minutes from time to cancel out Mark Noble's first-half penalty. Noble had struck from the spot on 27 minutes after goalkeeper Vicente Guaita fouled Michail Antonio.